Ellen, one of my baking buds, and I made some cupcakes for Guts on Ice, a fundraiser for crohn's and colitis. They were having a bake sale. It was for a good cause and who could say no to skating with hockey players? 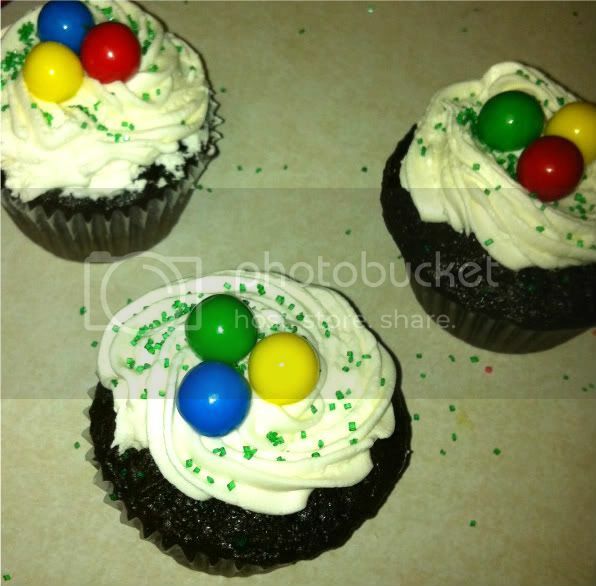 We topped the cupcakes with stuff in attempt to make them look cute and irresistible. I must say that we were successful in making a mess of Ellen's kitchen. I took a few pictures with my phone. It's proof that I'm not making this up. 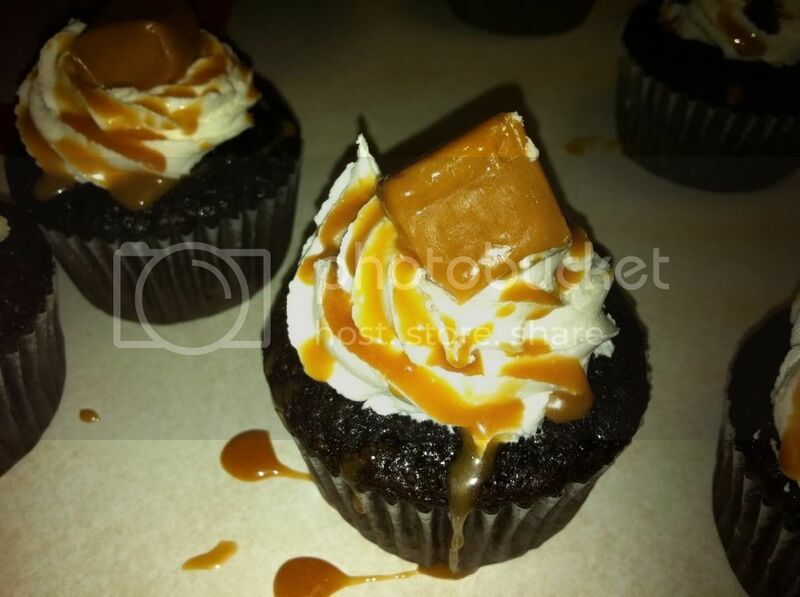 Chocolate cupcakes with a Jackson Pollock inspired caramel drizzle. 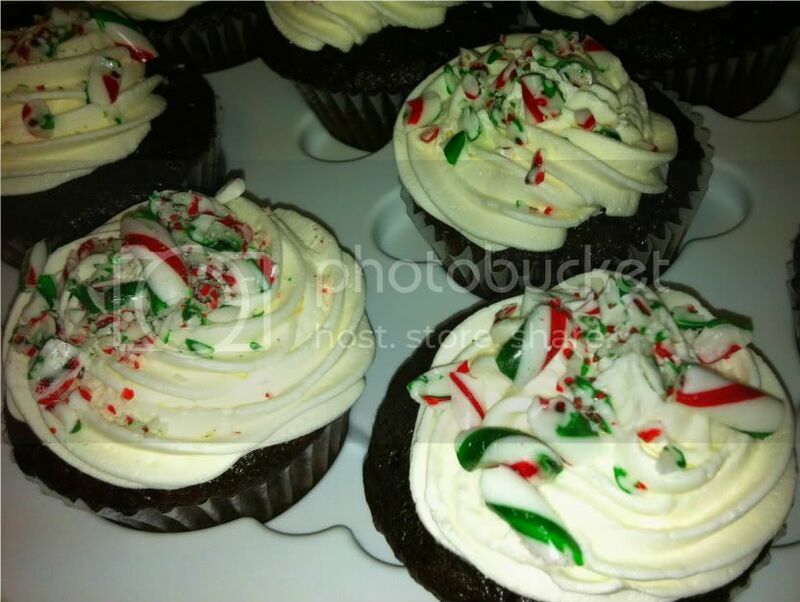 These ones were topped with crushed candy cane. We have to get people in the festive mood with only 36 days til Christmas.